When the wind is extra cold, a neck warmer is essential in order to stay warm. MASCOT's neck warmers protect you and your neck from the cold and prevent that you will be cold during your working day. MASCOT neck warmers are the right choice when your neck should be warm and dry without the risk of you sticking to something, as with e.g. scarfs. Neck warmers can be used for all purposes when the weather is cold or when you are exposed to draught. Neck warmers from MASCOT have great fits and give you optimum comfort. Featured in the assortment is a neck warmer with adjustable elastic drawstring which allows you to adjust the neck warmer at the neck opening. Therefore, you can easily either loosen or tighten the neck warmer in order to adapt it to both temperature and activity level during the day. The assortment also includes a neck warmer with a small back and chest piece that warms you additionally on the upper parts of the back and chest. 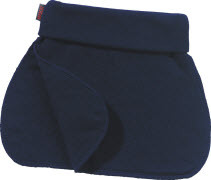 MASCOT's neck warmers are available in different materials. MASCOT uses its own triple-layer material Thermax®, which is an insulating and moisture wicking material that ensures that the moisture is transported away from the body when you are working outside in the cold. You will also find a neck warmer of COOLMAX® with DuoregulationTM, a leading material in efficiently transporting moisture away from the skin. The properties of the material are both cooling in warm weather and insulating in cold weather, and therefore it fits perfectly to physically active work. 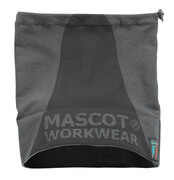 Neck warmers from MASCOT are produced in a material that dries quickly so your body will not be cooled down.